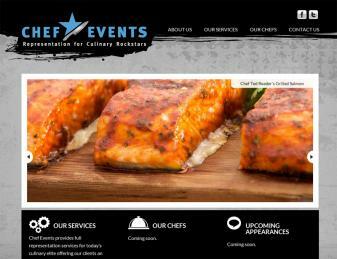 Chef Events provides full representation services for today’s culinary elite offering clients an array of services that include personal management, live appearances, speaking engagements, brand development, brand ambassadorships, strategic partnerships, catering services, and more. Intrigue helps facilitate all the marketing requirements by providing an easy-to-update website whereby management can keep visitors up to date on all the comings and goings of each of the chefs. Big, beautiful images of succulent entrees, and to die for desserts make this site representative of the quality, talent, and undying passion of each of the chefs showcased. Based on Drupal 7, this site is a dream to edit, and supports all the important social media avenues required by Chef Events staff to support proper marketing across North America. With a focus on social media and SEO, this site leverages each medium for the benefit of each culinary rock star.